The Regional Manufacturing Institute of Maryland (RMI) had received a grant from the Maryland Energy Administration to work with manufacturers to reduce energy use. Despite the grant’s provision for RMI to do all the work and a clear ROI, RMI was having difficulty securing meetings with manufacturers even to discuss the program. RMI approached Substance151 to develop a marketing program in support of the grant’s goals. In the initial assessment, Substance151 saw a lot of confusion around the campaign due to the lack of differentiation between the energy program and RMI’s numerous other initiatives. 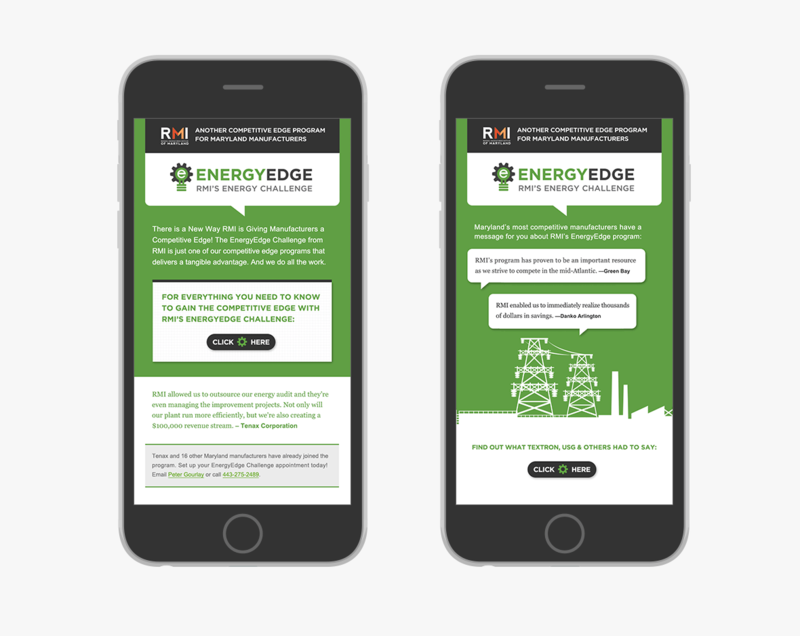 Substance151 recommended relaunching the energy initiative with its own name, messages, brand identity and marketing materials and developed a marketing strategy and a multichannel campaign plan. 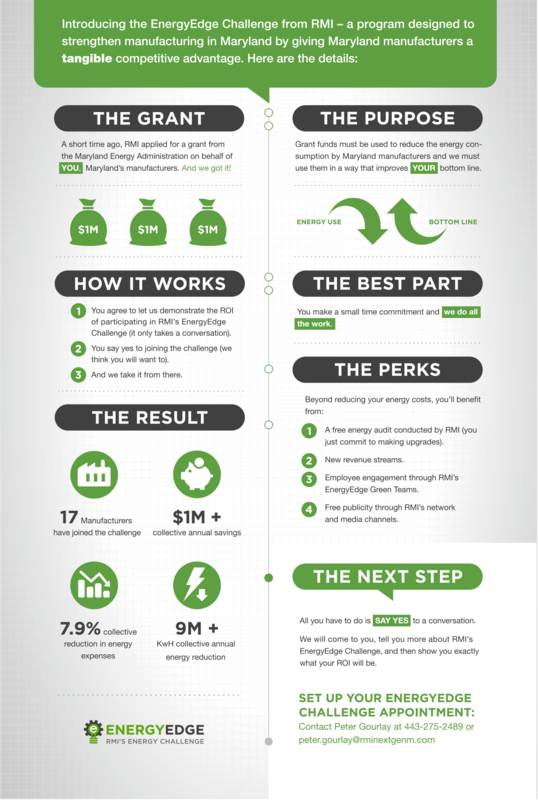 The campaign was structured around clearly communicating energy reduction as a critical operational issue and a way to create additional revenue streams. Substance151 employed infographics to explain the program and its benefits. Taking advantage of digital media, we planned a highly targeted email campaign and a corresponding social media effort to broaden the reach of the program. With a differentiated program identity, simplified message and very targeted communications plan in place, RMI was was able to recruit the required number of manufacturers into the program and fulfill the grant’s requirements. Over the course of the program, RMI identified over 48 million kilowatt hours of opportunities to reduce energy expenses, creating potential savings of over $2 million on energy bills for participating companies.